An all-inclusive, distinctive indoor produce growing methodology with built-in automated growth monitored engineering alerts and historical growth information for each Community Fresh Foods Garden Farm location. The system is an industry-leading pre-priced, custom four seasons cold and hot climate indoor designed. Individual Fresh Foods Garden Farm Systems are custom designed to address individual First Nations and Inuit community nutritional shortages. They allow year-round, quality, fresh produce resources through the cold climate indoor natural growing of fresh produce greens and other natural raw foods, within individual Community Garden Farms. FNG also provides ongoing 24/7/365 support through experienced, cold and hot climate, automation savvy, technologically advanced rotary hydroponic, fresh produce growing experts. We intend to deliver both individual community training and the installation of dependable, year-round, cold climate, commercial Garden Fresh Foods Farm Systems, which have 365 days year compatibility. This system can serve the fresh produce needs of each community and or include several other area communities with one financially viable, sustainable, commercial Fresh Foods Garden Farm System. Fully automated growth monitoring and growth history recording technology will ensure natural, fresh quality organic production of nutritionally rich greens, including year-round maximum growth cycle yields. We pride ourselves in the ongoing successes of each community Fresh Foods Garden Farm project by delivering additional year-round, 24/7, one-on-one advanced support for each location and their personnel. FNG offers advanced pre-opening technical, plant, operation and facility training. This support includes growth education workshop seminars as well as online help to ensure the success of each community project. This aid is an Indigenous Community opportunity that is long overdue. Each Fresh Foods Garden Farm System is specifically designed to meet the annual consumption needs of the First Nations and Inuit individual communities, based on population and their specific nutritional needs and concerns. This system may also include other surrounding area communities and residents, providing necessary additional year-round nutrition resources for their members and their children, within their communities. First Nation Growers Inc. has a division dedicated to the individual residential home natural garden farm grower. Our Box Garden Fresh Foods Farm Systems year-round designs are for the business entrepreneur as well as the smaller, suburban home. First Nation Growers Box Garden Fresh Food Farms is a natural, clean and green production of fresh produce greens, vegetables, fruit and herbs in a temperature-controlled state-of-the-art, cold climate, year-round, multi-use box tunnels. Each cold and hot weather Box Garden Fresh Foods Farm System comes complete with 24/7 automatic controls, computer temperature sensors, automatic opening and closing vents, with mechanized misting units and temperature controlled fans. Entrepreneur Box Garden Fresh Foods Farm is designed for the most aggressive produce producing residential grower. It has a built-in growing area 8′ feet wide, 53′ in length, and is 10′ feet in height. It has a capacity for 12 individual types of produce. The grow units have options to be staggered between personal growth cycles, with different organic crops growing at any given time. Residential Box Garden Fresh Food Farms; designed for the home gardener desiring to save on annual grocery bills by recreationally growing their own, natural, clean and green fresh produce or vegetables year-round. The equipment has a built-in grow area of 8′ feet wide, 24′ in length, and 10′ feet in height. It consists of 6 individual grow units that can be staggered between personal grow cycles with different organic crops growing at any one time. Home Hobby Box Garden Fresh Foods Farm; designed for the residential, home hobby, gardener, looking to have fun while saving a few dollars on fresh produce bought at the local supermarket. Our equipment allows for the recreationally growing, year-round of fresh food for family home choices and preferences. It has a built-in grow area of 8′ feet wide, 16′ in length, and 10′ feet in height. There are two individual grow units that can be fun for home use, growing 12 months a year, in cold or hot climate environments. The FNGBG system is a one-stop, no maintenance, home plug-in system purchase. It maximizes home growing quality with increased growth cycle yields for maximum revenues for the residential garden farmer. Simply use our system produces quality tasting, cold climate grown produce for healthy home consumption. This system unfolds through the engagement of modern production techniques using up-to-date technology and automation while providing low operating costs for the residential cold or hot climate, indoor gardener. First Nation Growers Fresh Foods Garden Farm Systems are a perfect way to ensure that there is ongoing, consistent access to year-round, fresh produce greens. This system saves money on costly, natural, pesticide and herbicide free, fresh fruits, vegetables, herbs and other Indigenous traditional medicines. First Nation Growers Fresh Foods Garden Farm Systems are a perfect way to avoid the high costs of grocery stores and provide products for your local community garden farmer’s market. The systems cater to vegetarians and concerned healthy fresh produce customers. The Garden Farm System is perfect and affordable for both large commercial community garden farms and smaller residential use, where each system can be tailored to meet both individual and community needs. FNG Garden Fresh Foods Farm Systems are each capable of producing over 1,000 plants per month at a fraction of the energy cost of a typical greenhouse or farms. Each unit provides the equivalent fresh produce of 1 acre of land at a portion of the time and costs of a traditional outdoor farm. Natural, tasty, nutritionally rich produce, vegetables and herbs can often be on your plate the very same day you harvest and can produce many more fresh greens than you can imagine. Freshly grown produce will be available within the community at a fraction of the cost that Indigenous and Inuit families are being asked to pay for today. First Nation Growers (FNG) promotes the improved well-being and general health of all people through invoking the United Nations’ reaffirmation of the inherent rights of Indigenous peoples and other non-native Canadians to include the personal use of traditional sacred medicines including medicinal Medicinal Medicines products in their lifestyle. 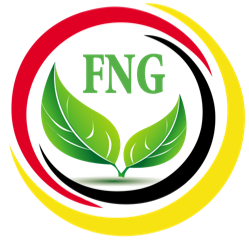 FNG is committed to becoming an Indigenous leader in the whole natural food and herbal industry. We strive to remain at the forefront of our native profession by adopting the latest technology and innovations available and through the education of both our staff and all consumers. With our ongoing efforts to improve the well-being and general health status of all peoples, we will adhere to well designed operating procedures and quality control measures supervised by a dedicated team of professionals and qualified staff. Emphasis will be on providing high-quality products at affordable costs coupled with excellent service and customer education and awareness. Possible outcomes include creating employment with a purpose and a noble goal to enrich lives and livelihoods and provide self-directed development of a self-sustaining community garden farming market with enhanced profitability in selling surplus produce. A shared goal of the First Nation Growers is to help eradicate the abuse of opiates including the potent and deadly methadone, fentanyl and oxycodone and the many other harmful mainstream prescription drugs including toxic household chemicals that have created a health crisis in far too many Canadian communities today. The judicious and informed use of appropriate quantities of Medicinal Medicines can alleviate suffering, improve outlooks and decrease opioid dependency. Preserving the knowledge and wisdom that encircles the traditional cultivation, collection, and administration of traditional medicines and herbs is as essential as ending suffering and bringing natural relief to the people in all communities. Our Rotary Gro-Towers are proudly built by a Canadian Manufacturing Company that has quietly become the world leader in the fresh foods indoor agricultural industry. Using their proprietary automated rotary hydroponics system, growing fresh produce, herbs, and medicines are possible all year round, in the cold, dry or hot climate conditions. We have a dedicated Project Support Division working closely with First Nation Growers to provide guidance and support in the development of the Indigenous indoor agriculture techniques and expertise to ensure a successful experience for First Nation and Inuit communities throughout North America.